Ever sit and think "man, I could really go for a cookie right now"? 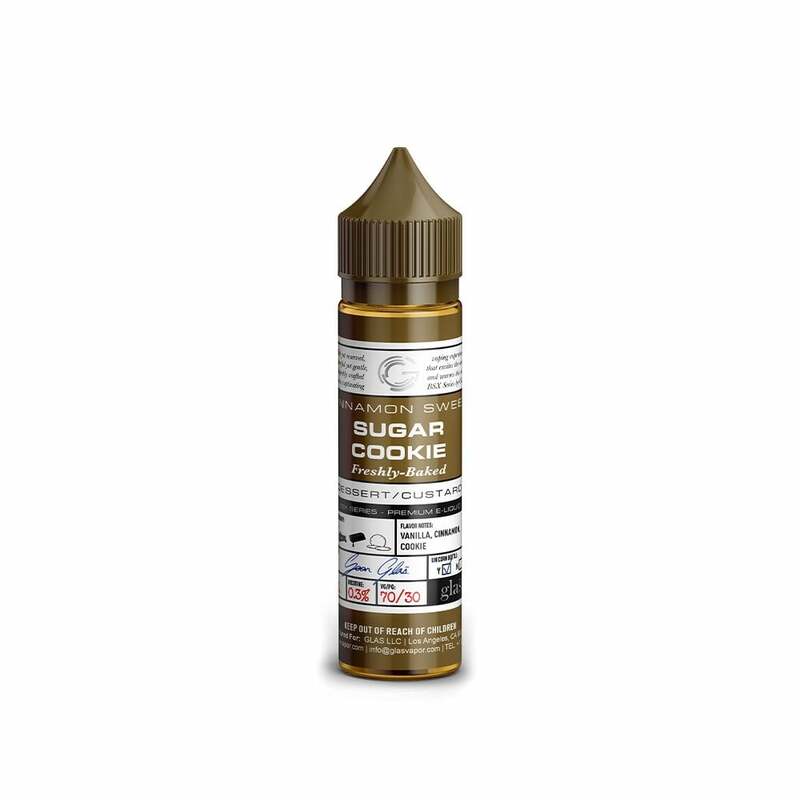 Well, you can with Sugar Cookie by Glas Vapor. Gooey brown sugar cookie dough sprinkled with nutmeg and cinnamon make Sugar Cookie taste like a cookie straight from the oven! One of my must haves. I have a huge sweet tooth and this particular brand and flavor satisfies me completely. Love, Love, Love! If you like cinnamon sugar cookies, or snickerdoodles, you will really enjoy this. Love this product. Not really a big cinnamon, but this may have changed my mind. Second favorite flavor. Great service. Wow! This flavor is outstanding. I never thought a vape juice could taste so sweet. The cinnamon, butter and sugar flavors are bold and delicious. This is my favorite vape brand so far.